This Single Shade Pendant Light by the Holland Bar Stool Co. will certainly brighten up your space. Whether above your pool table, game table, bar, or wherever you need extra light, this classic is sure to impress. Included is 4'' of chain for hanging, ceiling mounting fixture, and 5'' of cord with a 3-pronged polarized plug. Light fixture is vented to allow heat to escape instead of building around the socket, prolonging bulb life. Decorative molding accent trim on shade rim to match fixture. Lights are UL approved. 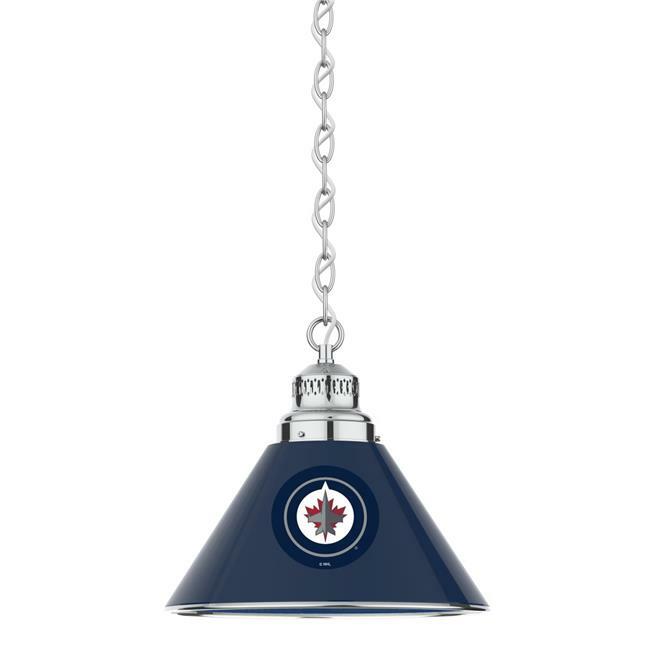 Brighten up your game room with this classic pendant light from Holland Bar Stool Co.